Jeff Sekerak - Gerson Therapy: How A Doctor's All-Natural Approach Succeeded - Where 'Civilized' Medicine Could Not. Gerson Therapy: How A Doctor's All-Natural Approach Succeeded - Where 'Civilized' Medicine Could Not. If I had a life-threatening illness, would I turn to traditional, 'civilized' medicine for help? Or would I take a more holistic, natural approach? Well, I might be inclined, were I completely indoctrinated by the modern medical establishment, to choose the former. That is, if I hadn't heard stories like the following; the amazing true case of a well-known, standard medical practitioner, demonstrating that Mother Nature may heal, where 'civilized' medicine cannot. Nobel-Prize Winner Dr. Albert Schweitzer, M.D. developed Type II Diabetes - his wife, lung tuberculosis. All conventional approaches to relieve these ailments failed miserably. 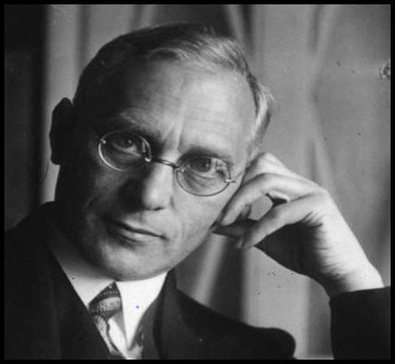 He then discovered his friend and contemporary, Dr. Max Gerson, M.D. had successfully treated 446 of 450 tuberculosis patients at the prestigious Munich University Hospital. More importantly: He used little more than fasting and raw fruit and vegetable juices to do it - a 'trade secret,' of sorts. Schweitzer, disillusioned with the standard approach, decided to give his friend's simple protocol a try. By his own admission and testimony: Both his wife's tuberculosis and his case of diabetes were completely cured. He watched his friend go on to successfully treat hundreds of cancer patients over a 20-year span using this unique, 'radical' approach to natural healing. Dr. Gerson's patient list was comprised mainly of those who'd been 'left for dead' by traditional, modern medicine. After three decades of successful work, his results were published in his book, A Cancer Therapy. 'Accurately put,' I'd say. Particularly when you consider Dr. Gerson's track record in treating 'terminal' illness - and Schweitzer and his wife's personal success with all-natural juice-therapy. Were I experiencing a serious health challenge - as was Dr. Schweitzer and his wife? You can bet your life: I'd put my trust in Mother Nature. I'd forgo the options of misguided, 'civilized' Man with his blades, pills and potions. Which seem only to interfere with Nature's gift to humanity - the innate, proven healing process with which we are all born. So I wager, does Dr. Gerson. Copyright 2015, Jeff Sekerak. All rights reserved. Consult your doctor before engaging in ANY diet or fitness plan. Use your good 'ol common sense too. Sound good?